Greek, Etruscan, & Roman Bronzes (MFA), no. 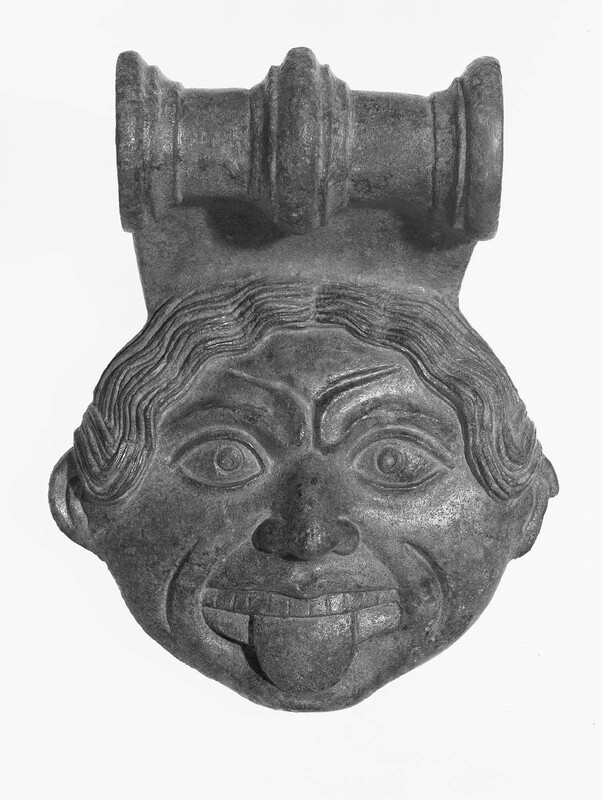 432A; Sculpture in Stone and Bronze (MFA), p. 124 (additional published references). The handle-plate was cast as one piece, the back left in rough incuse, with a broad rim, all for soldering to the bowl of the vessel. The upper, functional part of the design consists of a three-quarters circle with three raised moldings. Below appears the somewhat stylized, pseudo-Archaic head of the Gorgon Medusa, with staring eyes and tongue protruding from her mouth. The left ear of the Gorgon is chipped. Green patina.